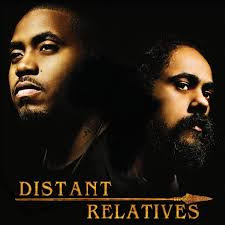 Right around the corner on May 18th, Nas & Damian Marley's collaboration album, Distant Relatives, will be released to many waiting loyal fans. The combination of earthy reggae and passionate deep rap gives the music a unique true sound that could inspire anybody. They may have realized this as they as they take on some controversial topics, but that’s usual Nas style anyway. I've heard all the songs that have fallen off the back of the truck so far (4 leaks), and they've been great, so this album should definitely be something to look forward to. Proceeds go to a project in Africa to build schools. This music is real.